RPA is the acronym for Rugby Players Association in England, but also for Robotic Process Automation… and that is presumably the reason why you have heard a lot of it during the last year. Indeed, IT analysts such as Gartner, Forrester, IDC, HFS Research, Everest Group, Aragon Research…, major consulting firms such as Accenture, Deloitte, EY, McKinsey…, IT integrators such as Avanade, Capgemini, DXC Technology, HP, IBM, SopraSteria and many others agree on that: RPA is a pragmatic approach to engage or foster digital transformation of organizations. That’s why this topic deserves to be looked at more closely, in order to clearly understand what it is. In large organizations, people spend a lot of time interacting with the different applications of their business systems. To carry out their mission, they frequently have to re-enter or to copy and paste data from one application to another, or to compare and verify information from two applications. Robotic process automation, or RPA, consists of implementing “software robots” to automate as much as possible these tedious mundane tasks. This “automation of white-collar jobs” can free up 15% to 30% of an employee’s time, which can be used more effectively for actions bringing real value for the organization and improving the quality of the service to its customers. Corollary, this automation improves the comfort of employees, and this is not the least of its advantages: the employee who spends his workday in front of computer tools will adhere better to the strategic vision of the management who wants to accelerate the digital transformation of the company. Automation can be done on the desktop, where the “software robot” will execute the interactions as the human being does: like a human, the robots read the content of an application window, identify the fields containing useful data, copy them into another window, launch a transaction, etc. While performing these tasks, the robot may, if needed, “hand over” the person in front of the PC to make a decision based on his or her intelligence and experience. The robot can also carry out some checks on the data it handles: this gives the company additional guarantees regarding compliance with certain regulatory requirements and the quality of the result of the processes. This aspect of the Robotic Process Automation where the robot appears as a software assistant for a human being interacting with a PC while respecting the business logic is called “attended RPA” or sometimes “Robotic Desktop Automation” with the acronym RDA. Some processes can be automated from end to end, by robots installed within server farms and running without any interaction with a human being. A software robot can autonomously connect to databases to retrieve information, apply business rules, perform processes that produce new data, and then inject them into other applications using their own programming interfaces (APIs). This aspect of Robotic Process Automation where the robot work at the heart of the information system or in the cloud is called “unattended RPA”. However, this autonomous robot remains under the supervision of human beings: it is indeed necessary to monitor the execution of the processes to ensure that they are properly executed. In case of anomaly, it is a human expert, a “robot supervisor”, who will be able to understand the cause of the problem, to correct it and then to restart the robots so that the processes resume where they had stopped. Clearly, organizations should consider RPA globally, taking advantage of the complementary approaches: it can start on the desktops with attended RPA, focusing first on the most repetitive and time-consuming processes. The first benefits are quick, and it helps employees to embrace the digital transformation of the organization they are working for. Then the RPA journey can be extended by implementing unattended RPA on servers to handle complex processes. Some business processes can eve benefit of a hybrid RPA approach, mixing attended and unattended robots to maximize the benefits an organization can get from robotic process automation. Artificial Intelligence + RPA = Intelligent RPA? SAP is going to launch Intelligent Robotic Process Automation as a general-purpose RPA platform soon. We will see that robotic process automation will evolve further with artificial intelligence technologies… but how will RPA and AI work together? 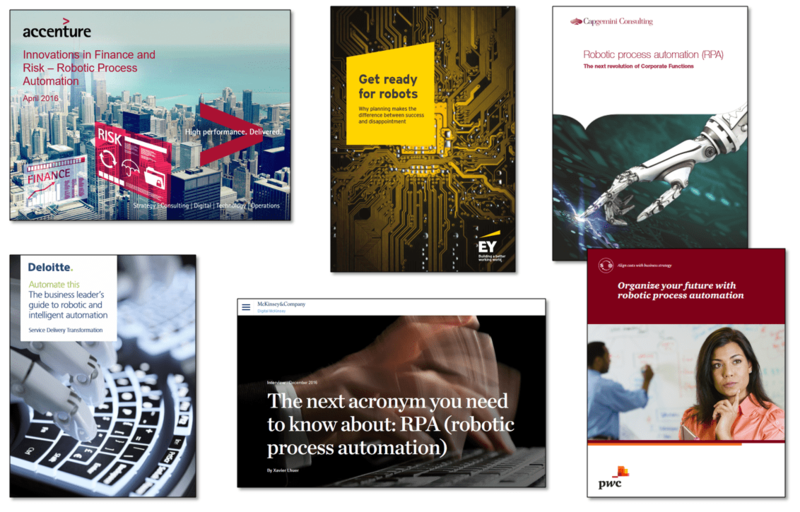 What will be the best use cases for Intelligent RPA, and the major benefits it will provide? We will see that in a next blog post! Thanks Pierre for this interesting introduction.